ToroQuest is a Minecraft mod which adds new entities, structures, dungeons, and civilizations to your world. With ToroQuest installed, your world will have new and exciting dangers to discover and quests to undertake. Please feel free to include ToroQuest in any modpack. No need to ask for permission. 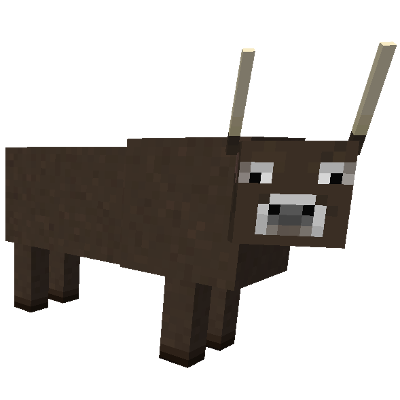 Does this mod make it so cows need to breed with bulls/toro (As cows breeding with cows is quite weird)? If not, could it be a possible feature? Would LOOOOVE to see roaming knights across the world as well as bandits and any other npc types you can think of! Awesome mod. Does this mean its inherently incompatible with toroquest, or would there be a way to get a mixture of both villages from both mods? for some reason when i use this mod in my server only the structures generate and all the NPCs arnt there, am i doing something wrong? I know but it would be better to at least balance them because they run too fast, I even like the minotaurs from Twilight Forest. It is noticeable that people liked your mod, have many comments. However, all requiring you to correct the IA ​​from the guards and sentries. Why did you abandon the mod? I do not speak English, so my writing may be strange. Nice mod, but there must be a limit on how many Sentinels and Guards may exist in a village. And they need to know how to open doors. Is it possible to remove the shopkeeper ? Even better: Is there a way to edit a config to reduce the spawn weight of sentries? I want to reduce the amount in my world without having to spam the kill-all command. Dude, you should just make the ToroPack where it's all of your "Toro" prefix mods. ok i found where it SHOULD show it but it doesn't appear to be in that spot let alone anywhere on my screen. what do i do to get it to show up? Also im playing the modpack Sprout 1.10.2 minecraft. where is my reputation lvl? im in the village and it doesnt show. What do i do to show it?